Studying material by conceptualizing can help learning. However, practicing the recall of new material is important to the effectiveness of the learning mode, research by Karpicke and Blunt suggests. What? Students learn more when they simply practice recalling material, than when they study by observing conceptual relationships? At first glance, these findings presented by Jeffrey Karpicke and Janell Blunt present in their *Retrieval Practice Produces More Learning than Elaborative Studying with Concept Mapping seem to imply a setback for conceptual learning? Not necessarily. Conceptual Learning without Recall Practice is Less Successful: In Karpicke and Blunt’s experiment, several groups of students use different procedures to study a text on which they would be tested. On the final test, the group of students whose study methods included re-reading the text and mapping its concepts on paper was less successful than another group. A key difference between groups was that the better performing group’s study method included practice in recalling the information they were to learn. Periodically during study, this group wrote all they could remember about the text—without looking at it. Though, in the experiment, retrieval practice was omitted from the Concept Mapping group’s approach, Karpicke and Blunt note that retrieval practice can readily be a part of Concept Mapping —if concepts are revisited from memory, conceptual learning incorporates the benefits of retrieval practice. From the piano teaching standpoint, then, reviewing newly presented items within the lesson in which they are presented is useful. If in a lesson, for example, students have just ”discovered” how to improvise with an ostinato, and have now moved to practicing flashcards, at this second activity’s close, or even in the middle of it, they might be asked, “who can run to the piano and play an ostinato right now?” or “what means that word we learned when we were improvising?”. Reaching back this way engages and strengthens students’ recall before they leave the lesson, better equipping them to remember at home what they are to practice during the week. 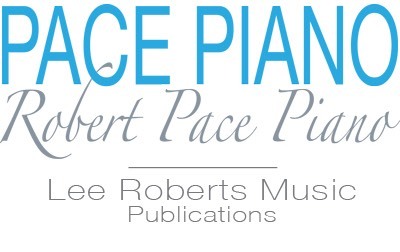 In the Robert Pace approach to “Comprehensive Musicianship,” both conceptualization and the revisiting, reapplication, and re-construction of learning—in a creative way—are mainstays. When students give feedback and tips to each other, and explain and teach one another concepts, they are actively reconstructing information and strengthening their ability to access, apply, and expand upon knowledge. Moreover, when they vary music, or transpose it (another form of variation), reconstruction is built in: In creating variations, students must mentally retrieve the original concept. But beyond that, they also must comprehend it so that they can make something new that is like the original, and simultaneously different. Creative change does not substitute for practicing specific recall when learning the actual original material. Creative change, or "re-construction" does, however, immensely enhance, reinforce and expand learning. The act of recalling new information helps students retain what they are studying. Transposing a piece or improvising a variation on it involves students in recall practice—These activities ask the student to modify something. To do this, first they must recall it. After material has been introduced to students during a lesson, they are helped by being asked to retrieve new information at different points during that lesson. This recall-practice equips them to better recall at home new information and skills they al]re to practice. Once students know what is expected, having them do activities such as clapping rhythms, shaping a melody, etc. without the teacher leading, encourages students to independently reconstruct what they are learning, free of relying on cues. Games can encourage students to practice recall of skills and ideas, by making “making an attempt” fun. No reproduction of this material permitted in any form without written permission of the copyright holder.